After a case of devouring a huge box of pizza at Angel's Pizza Pasta Combo, I've faced another case of addiction and over-consumption with Figaro's new and amazingly delicious dishes and refreshing drinks. 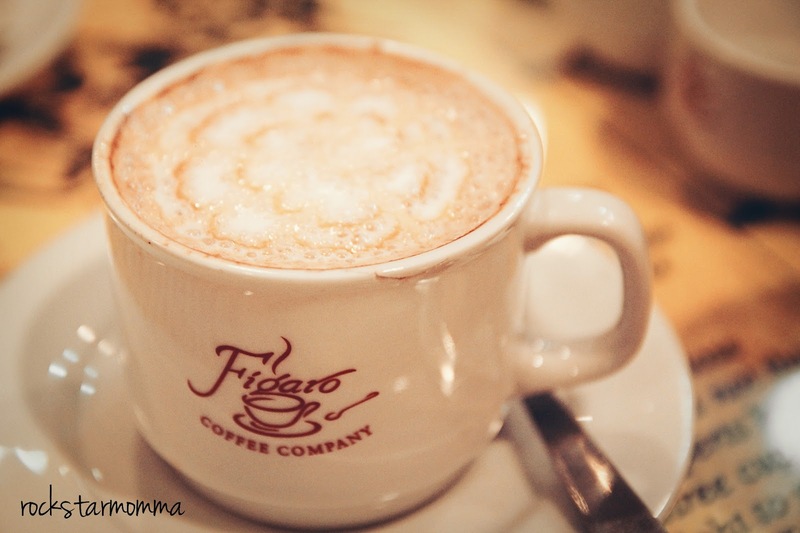 Figaro is my favorite "go to" for coffee, pastries, and a lot more yummy dishes. I've been fortunate to sample quite a few variety of Figaro's new menu items that were very impressive. I love how the chefs at Figaro are constantly mixing and matching the sauces, herbs and spices with different pastas and creating delicious combinations every quarter of the month. More delicious menu options means eating more delicious food without boredom. More creamy, satisfying sauces means more delicious, satiating flavors. Actually, the chefs at Figaro are geniuses, they're like some Einsteins in the kitchen. For this month of July, Figaro has the Classic Italian Double, (Pasta Bolognese and Sausage Alfredo Pasta) Monggo and Ube Ensaymada, Irish Cream Latte, Figaroccino Salted Caramel and Salted Caramel Latte. Some of the best meals start with a little Italian comfort. Although I'm not Italian whose veins are like strings of pasta and blood is like bolognese sauce, I always enjoy eating pasta with a blend of very lightly flavored sauce and cheeses. 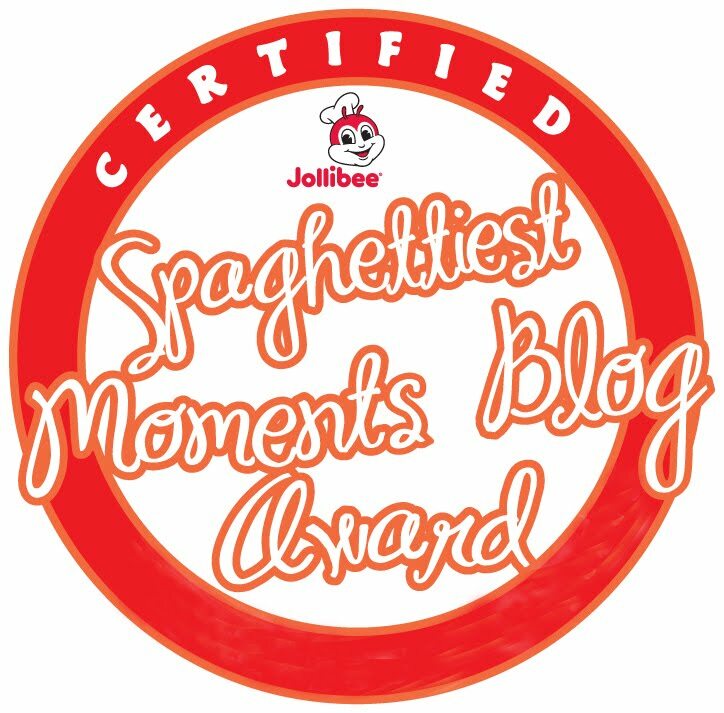 I don't even know how to pronounce "bolognese" *faces palm* and that's the reason why I searched for it in Google and found out that it is actually pronounced "bo-lo-nye-ze". So now I know... it's not "baw-log-nissss" :) Now I can order bolognese with the correct pronunciation. And hey, we don't need to travel to Italy to experience some amazing pasta because for all you pasta lovers out there, Figaro is where it’s at. 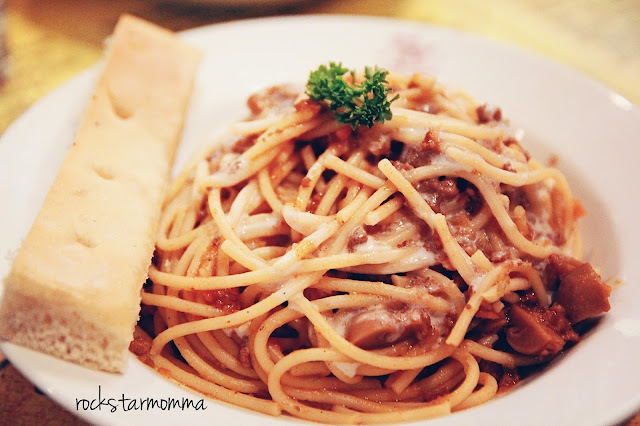 Pasta Bolognese ( PhP180 ) is basically a sauteed pasta smothered in rich bolognese sauce, garnished with meat, some cream and cream cheese and served with garlic bread on the side. 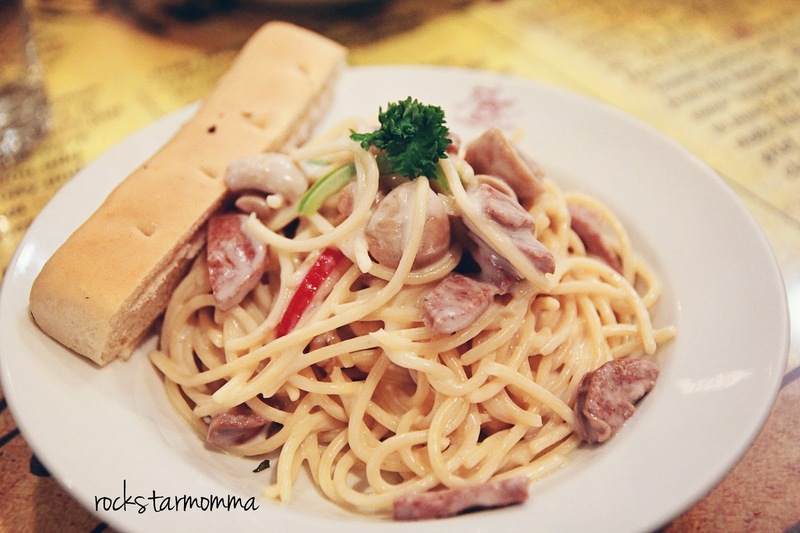 You can also choose your own type of pasta: linguine, penne, or spaghetti. When we talk about flavor, this pasta will leave people wanting more, one of those that you sometimes just crave a big plate and sink your face into! Sausage Alfredo Pasta. ( PhP180 ) Sauteed in a creamy white sauce mixed with delicious Italian sausage and garnished with cream cheese, Italian herbs, and spices, and served with freshly baked garlic bread. It’s perfectly skinny, creamy and delicious just the way it is. This hearty, protein-rich sauce serves a crowd, or it can be a staple for a hearty lunch. Think this pasta is not delish? My daughter's empty and almost clean plate with some traces of white sauce on it says your argument is invalid. 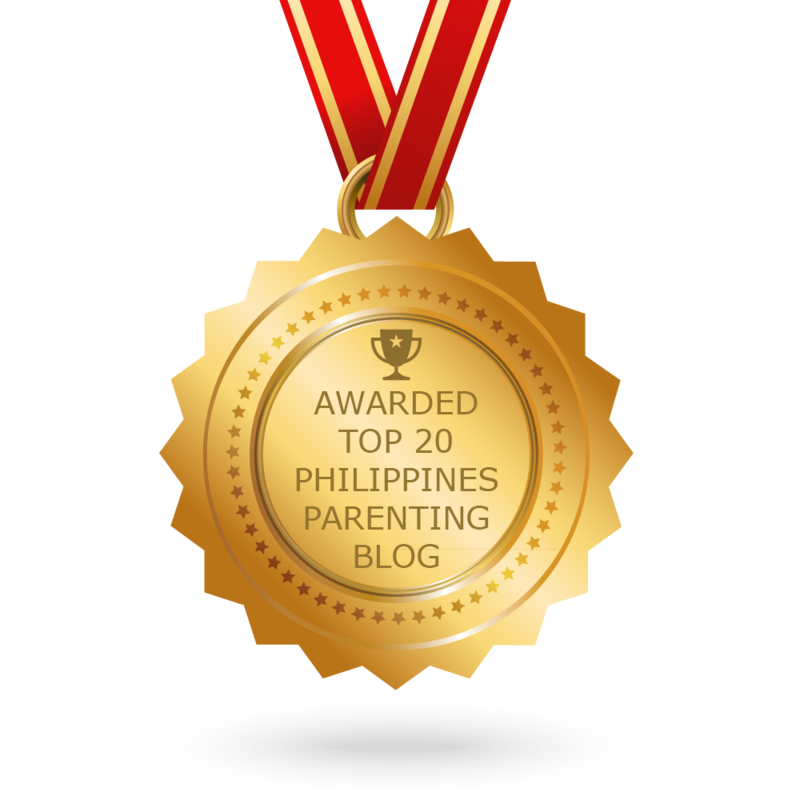 Needless to say, this is hands down my kid's favorite creamy pasta! Secretly, I was hoping my plate would magically keep refilling itself. :) Oh well... Try the Classic Italian Double if you dare to be amazed. However, Classic Italian Double is available at selected Figaro Stores only. I also tried the new addition to Figaro's hot and cold drinks. 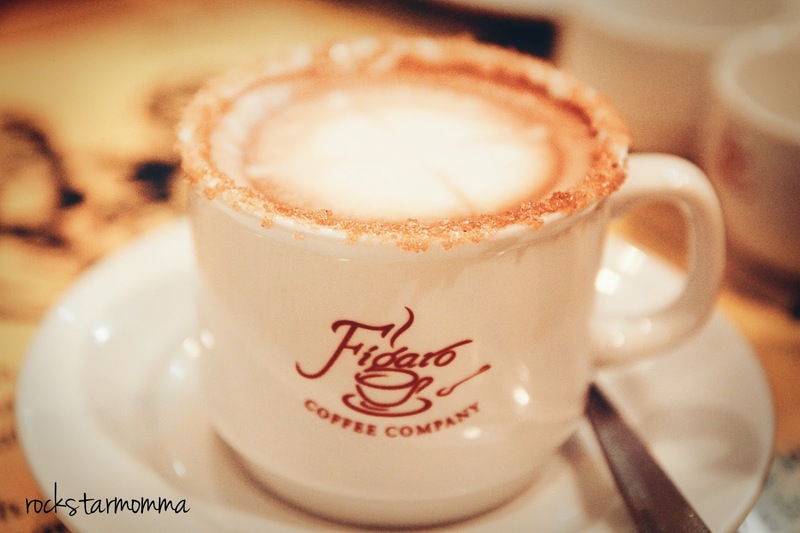 Inspired by the rainy season, Figaro has a new addition to Figaro's coffee line-up for coffee lovers! Presenting the Creamy Coffee Crave that is proudly Filipino! 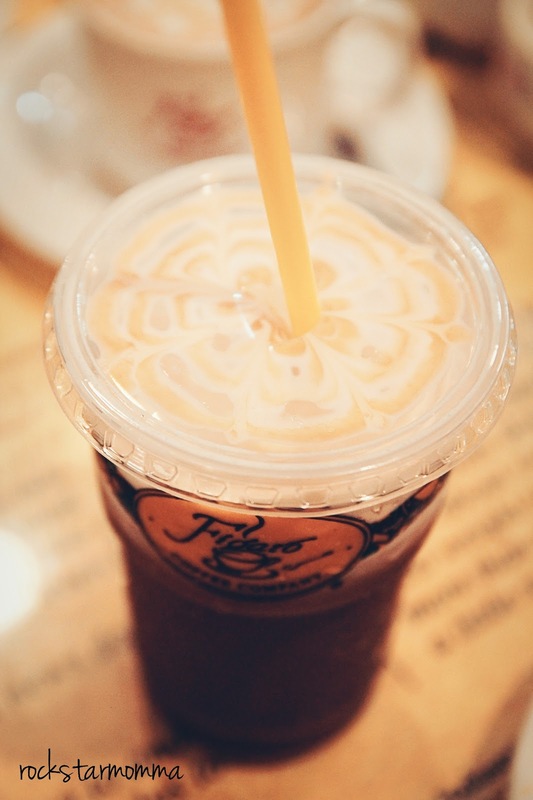 Irish Cream Latte, Figaroccino Salted Caramel and Salted Caramel Latte are now available at selected Figaro Stores. Irish cream latte is Figaro's classic, smooth, rich and full-bodied espresso combined with decadent Irish cream and steamed milk. With frosted brown sugar on the rim, the top of the latte froths up nicely, with a good half a centimeter of latte foam. The coffee content is 90% Arabica and 10% Robusta so it's smooth and has a bit of strong coffee aroma. Irish cream typically has between 15 to 20% alcohol but the Irish cream syrup at Figaro has no alcohol content. The scent that oozes from my cup is amazing which is quite appealing. And how does it taste? It has a slight bitter coffee taste with a smooth sweet finish and aftertaste. I wasn't sure what to expect, but at first sip I fell in love with it - so much so that I just ordered another one this morning. Figaroccino Salted Caramel (cold) and Salted Caramel Latte (hot), luscious blend of Figaro's classic espresso that has mild sweetness of caramel and a salty touch to soothe your taste buds. Each bite melted in my mouth. The ube and monggo ensaymada paired quite well with Salted caramel latte. A light yet satisfying ensyamada that's packed with flavor. I’ve been looking for my kid's “healthy snack” replacement for some time now. 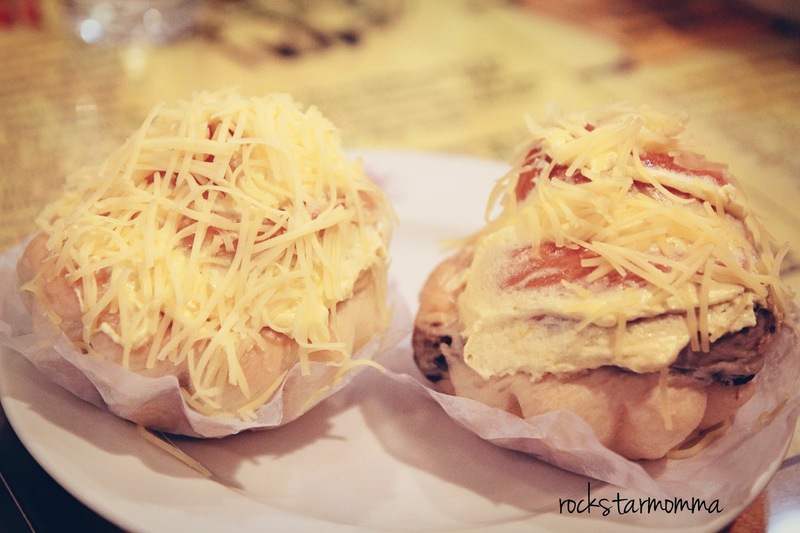 I once bought another way inferior ensaymada from a certain bakeshop. Those sucked. These ensaymadas ruled. 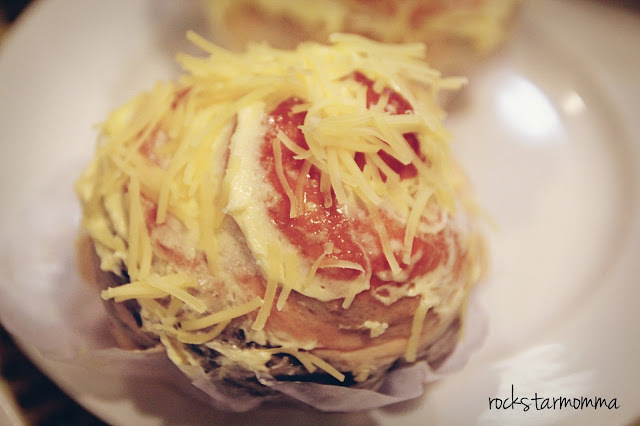 My daughter loves the ube ensaymada with lots of cheese on it! It's only Php65 per piece and it's absolutely delicious. Indeed, Figaro has excellent cakes crafted with great skill. The appearance, flavor, mouth feel of their cakes are really good. Sooo good I could have cried! I recommend you try them all to encounter the unique and sweet delight each has to offer. So guys, if you're looking for a place to indulge this weekend, I'm pretty sure you already know where to go. 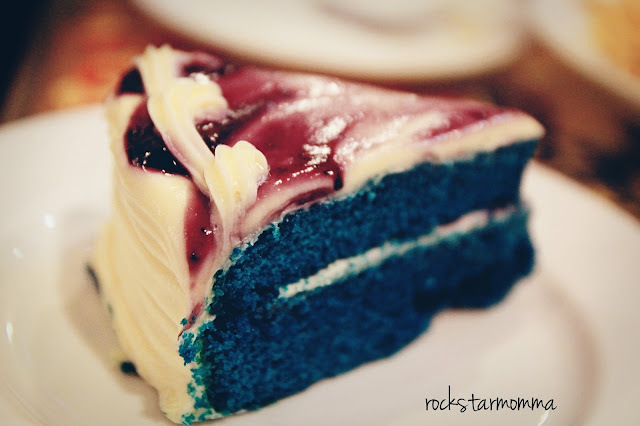 Check out the new offerings at Figaro Coffee. Have a great weekend and heaps of love to you all! 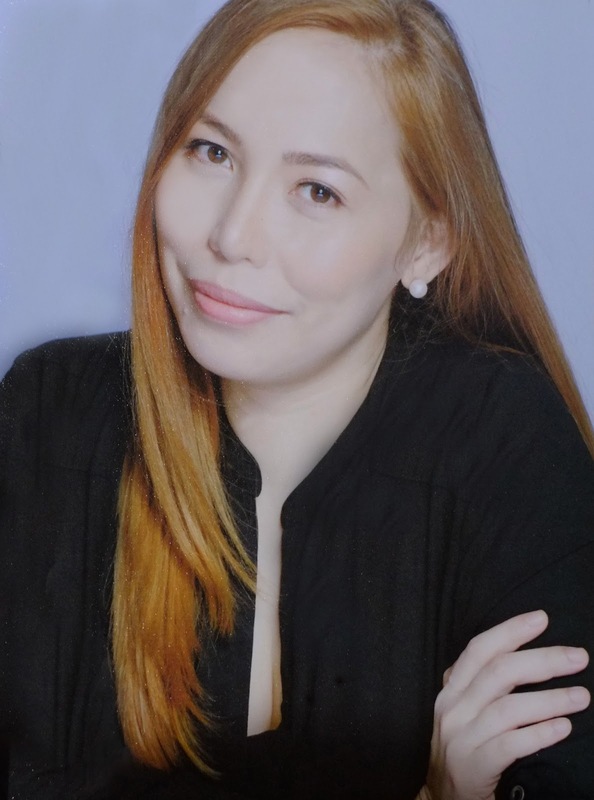 I like figaro's Ensaymadas and Blue Velvet Cake,! yummmy!